Mixing together music, craft brews and enough barbecue to fill the Napa River, the ninth annual Blues, Brews & BBQ summertime party makes its way to Napa’s picturesque Oxbow Commons this year. 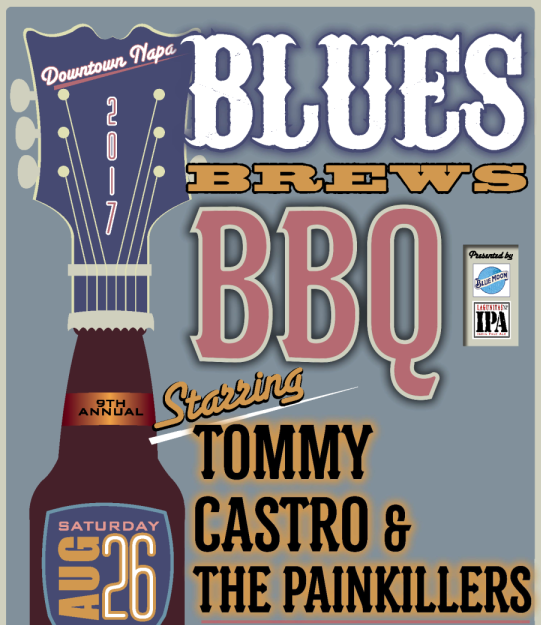 Bay Area blues and rock stars like headliner Tommy Castro & the Painkillers, Marshall Law and Lavay Smith & Her Red Hot Skillet Lickers grace the outdoor stage, along with over 30 microbreweries and several barbecue pitmasters serving up their goods. And don’t miss the famous rib-eating contest. Saturday, Aug. 26, at 1268 McKinstry St., Napa. Noon. Free admission and parking, food and drink tickets available for purchase. donapa.com.